The branch of reproductive surgery is a part of reproductive medicine. The doctors usually involved in these surgeries are gynaecologists and urologists. At Apollo Fertility, you will meet the experts who will provide the best treatments for both men and women. In this condition, the endometrial tissue from the lining of the uterus grows outside the cavity of one’s uterine. The symptoms of this condition include; painful period pain, vaginal bleeding between the menstrual cycle, and even infertility. It is still not very clear how endometriosis causes infertility. However, a surgery can be performed to reduce or remove the abnormalities. 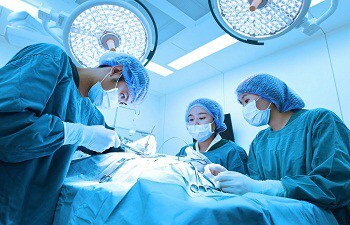 In this surgery, a microscope is used. This treatment is mostly used for endometriosis, to remove scar tissue or to reconstruct fallopian tubes. It is an invasive procedure, but extremely beneficial for women suffering from fertility issues. In this surgery, a laparoscope is used to perform the surgery. The doctors will first make an incision to check the pelvic organs. With the help of laparoscopy, the scar tissues can be removed, and the fallopian tubes can be repaired. Laparoscopy is most commonly used to treat endometriosis and infertility. During this surgery, the doctor will make an incision in the abdominal wall to make their way to the affected area. And, this procedure is performed through the small incision, near the pubic bone. Hence, the doctors will check the pelvis and rectify the damage. The diagnostic hysteroscopy is a very important tool because it helps diagnose female infertility. In this treatment, a fibre optic scope is used to view the uterus for any abnormalities in the uterine, such as fibroids, polyps and scarring. Firstly, the doctors will stretch the cervical canal to inspect the internal structure of the uterus and then it is performed on an outpatient basis. The recovery time is usually about 2-3 days. It is a procedure that helps treat female infertility. The doctors will first take a look at the fallopian tubes for any abnormalities, such as blockage, scars, and any other damage to the inner lining of the tube. Using a fibre optic scope, the doctors inspect the tubes. Once the reason for infertility becomes clear, the doctors at Apollo fertility will prescribe the correct treatment. It is a surgical procedure which helps treat epididymal blockages, such as scarring and cysts. These obstructions block the sperm from travelling to the vas deferens. It is known to be a difficult procedure, but the expert doctors at Apollo Fertility lend a skilful hand for a successful procedure. One of the most common procedures to rectify male infertility is Varicocelectomy. A surgical procedure, it repairs the varicoceles. The extra blood present in the varicoceles helps increase the temperature of the testicles and damage the production of the sperm, leading to low sperm count. In this procedure, the veins are cut to flush out all the excess blood, thus, enhancing fertility.